Mark Doty brings the vitality and imagination that illuminate his own work to his selections for the twenty-fifth volume in the Best American Poetry series. He has chosen poems of high moral earnestness and poems in a comic register; poems that tell stories and poems that test the boundaries of innovative composition. 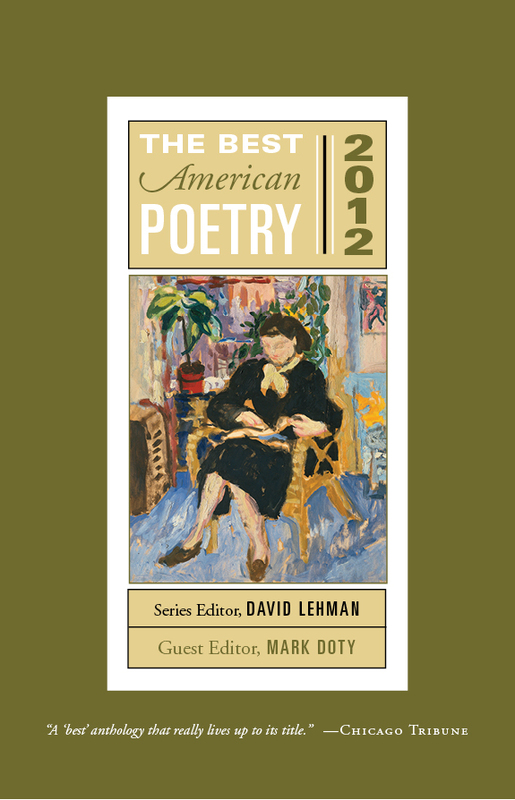 This landmark edition includes David Lehman’s keen look at American poetry in his foreword, Mark Doty’s gorgeous introduction, and notes from the poets revealing the germination of their work. Over the last twenty-five years, The Best American Poetry has become an annual rite of the poetry world, and this year’s anthology is a welcome and essential addition to the series.